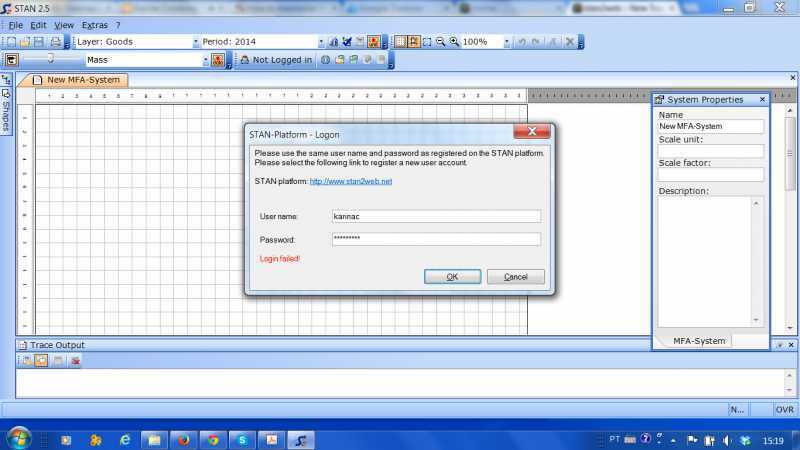 I can do login only in the site, into the stan appear error of login error message. Could you help me? Due to changes in the password encryption system of the latest Joomla version (that's the plattform where stan2web.net is runnning on) it is not possible anymore to access the stan2web database with STAN 2.5.1103 or older.